I have tried most restaurants, the reason I moved here, between Ajijic and Chapala. Good meals indeed, but I was searching for something really local to like. In the restaurant on the second floor of Chapala's market is Fonda Güera. I eat there regularly getting personally selected whole red snapper al gusto. Today I tried her seafood soup and it was the most flavorful dish I can recall. Whole catfish is the fish shown, 70 pesos. 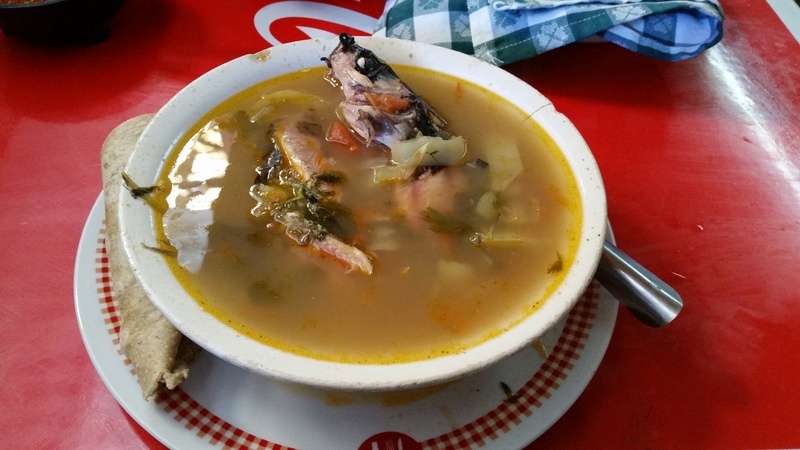 Try the Seafood soup at Letys.... in San Antonio Tlay.